LOS ANGELES—Saying they’d be a bit surprised if there wasn’t at least something to nibble on, the 1,500 invitees to the official after-party of the 87th Academy Awards admitted Sunday that they were not sure if the gala event would have food. “Richard [Linklater] guessed they’d have trays of stuff going around, but even if that’s true, it might be gone if we don’t get there really early,” said Best Supporting Actor nominee Robert Duvall, adding that the Golden Globes after-party had food, so it’d be kind of odd if the one for the Oscars didn’t. “Maybe I’ll grab a granola bar or a bag of almonds beforehand. That way, if there’s no food, at least I won’t be starving. 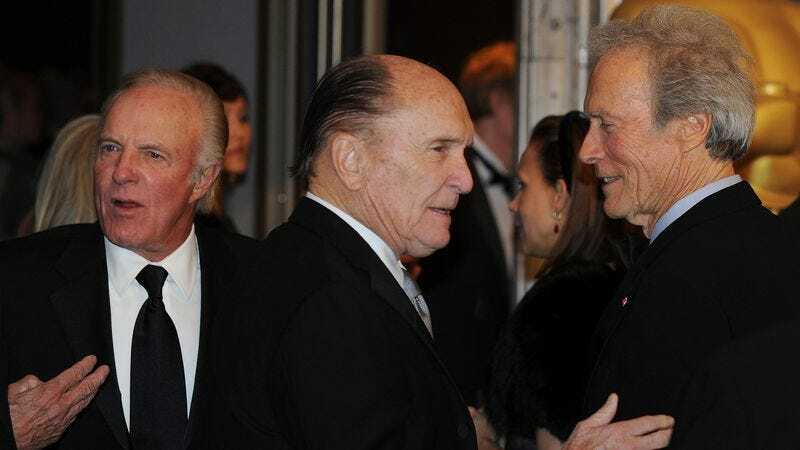 Then I can swing by In-N-Out Burger on the way home.” At press time, Duvall was asking Birdman director Alejandro González Iñárritu if he thought the after-party would be open bar.